One of the biggest announcements in WWDC 2016 is the introduction of the Message framework in iOS 10. Developers can now create app extensions for Apple’s built-in Messages app. By building an app extension, you let users to interact with your app right in the Messages app. For example, you can build a message sticker extension that allows your users to send stickers while communicating with his/her friends in Messages. Or if you already developed a photo editing app, you can now write an extension for users to edit photos without leaving the Messages app. The support of extension opens up a lot of opportunities for app developers. Apple even introduces App Store for iMessage, so you can sell your app extension through the app store that is dedicated for iMessage. In this tutorial, I will show you how to build a stick pack using the framework. 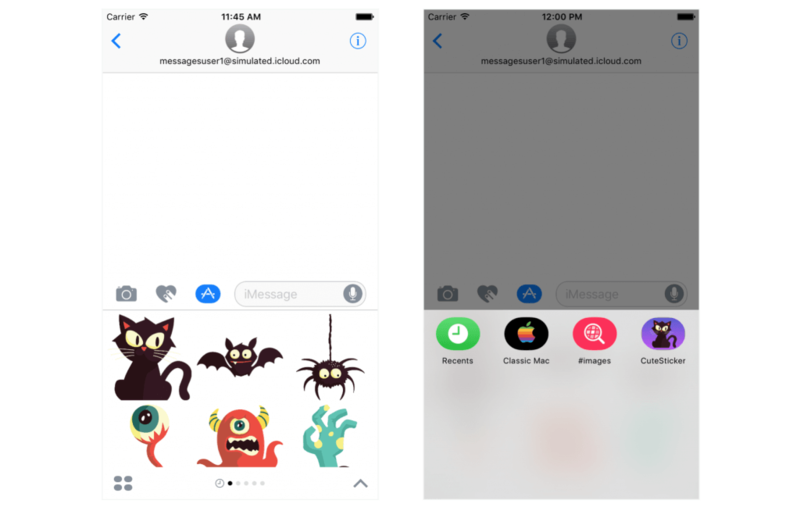 For the tutorial that follows, we will dive a little bit deeper to see how you can develop an iMessage app. 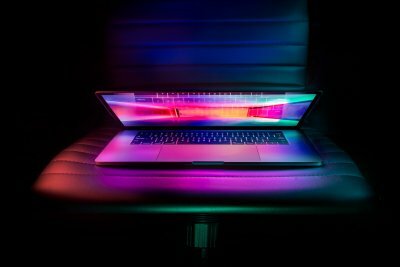 Regardless of the type of app extension you’re going to develop, you’ll need to use Xcode 8. At the time of this writing, Xcode 8 is in beta. If you haven’t installed the tool, grab a copy from Apple and install it on your Mac. Even if you have Xcode 7 installed, you can keep the current version intact and install the new version of Xcode on your machine. Before moving on, I have to say that Apple makes it very easy for everyone to build sticker packs. 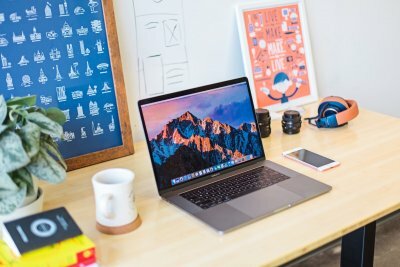 Even if you do not have any Swift programming experience, you’ll be able to create your own sticker pack because it doesn’t need you to write a line of code. Follow this tutorial and learn how to create a sticker extension. 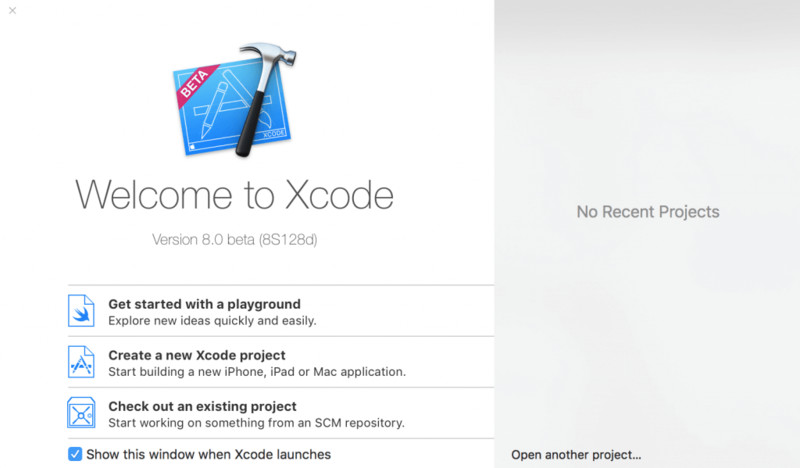 First, fire up Xcode 8 and create a new project. The new version of Xcode 8 has come with several project template for building Messages extensions. For sticker pack, please choose iOS > Application and then select Sticker Pack Application. Next, fill in the project name. For this demo, I use the name CuteSticker but you can choose whatever name you prefer. Once your Xcode project is created, you’ll see two files in the project navigator. Click Stickers.xcstickers and then select the Sticker Pack folder. This is where you put your image files. For demo purpose, you can download this image pack. Or simply use your own images. But please note that the image must be in PNG (preferred), APNG, GIF or JPG format with a maximum size of 500KB. Assuming you’ve downloaded our image pack, unzip it in Finder. Then select all the images and drag them into the Sticker Pack folder. Credit: This free image pack is provided by pixeden.com. That’s it. Optionally, you can change the preferred size of the stickers. Select the Sticker Pack folder, and then choose the Attributes inspector. By default, the sticker size is set to Medium. You may change it to Small or Large. For this demo, I just use the default setting. To simplify the icon preparation, you can download iMessage App Icon template from Apple. After you download our demo app icon pack, unzip the file and drag all the app icon files to iMessage App Icon. That’s it! Now that you’ve created a sticker pack for Messages, it’s time to test it. You do not need an iOS 10 device to run the test. Xcode provides a built-in simulator to test any iMessage app extension. Choose a simulated device (e.g. iPhone 6) and hit the Run button to start the testing. 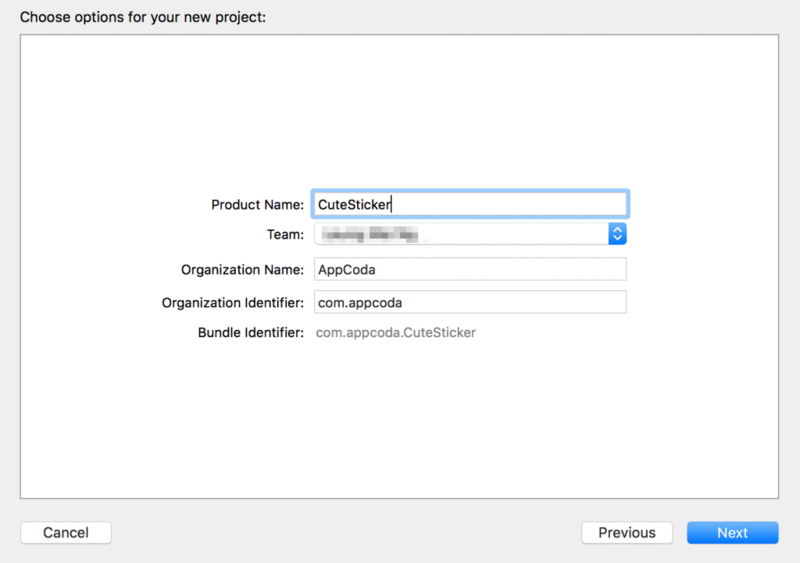 Since the sticker pack is an app extension, you can’t execute it as a standalone application. You have to run on the Messages app. So choose Messages when Xcode will prompt you to choose an app to run. Then click Run to proceed. When the simulator is launched, you’ll be directed to the Messages app. Click the extension button and you’ll find your sticker pack. If you click the lower left menu icon, you will reveal your sticker pack, as well as, those built-in. The Messages app in the simulator has come with two simulated users. Choose a sticker and press return key to send it. Then go to messageuser2. You should find the stickers you’ve just sent. Not only can you bundle static images in your sticker pack, Apple lets you easily add animated images to the pack. If you already have some animated GIFs or APNGs like this one, simply add the image to the stick pack. Xcode will recognize it and display the animation. An alternative approach for creating animated images is create a sticker sequence. Go back to your sticker pack. Right click on any blank area to bring up the option menu. Choose Add Assets > New Sticker Sequence. This creates a sticker sequence for you to add a sequence of images. 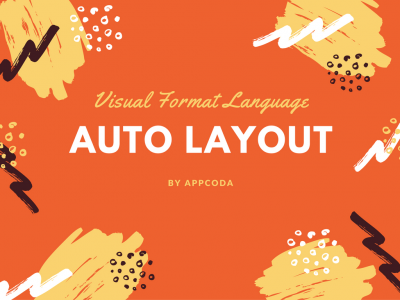 As an example, you can download this image pack to try it out. Unzip the pack, and drag all the images to the sticker sequence. 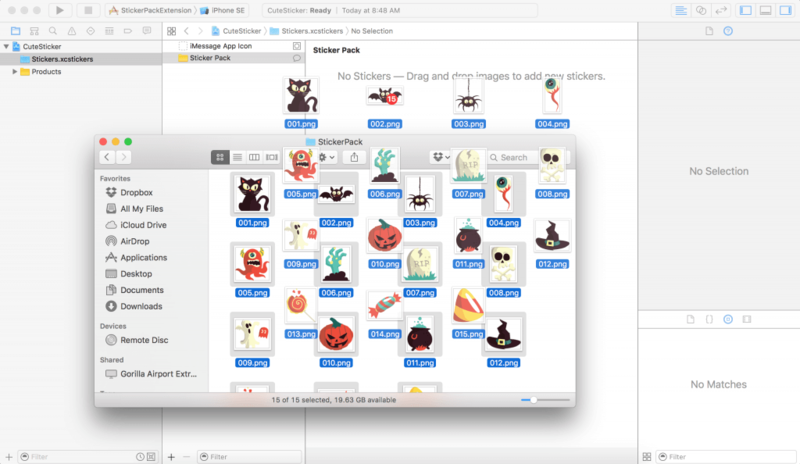 Xcode allows you to preview the resulting animation right in the sticker pack. Place the cursor over the sticker sequence and click the Play button to preview the animation. You have just learned how to create an app extension for the Messages app in Xcode 8. As you see, you don’t even need to write a line of code to create a sticker pack. All you need is prepare your own images (animated or static) and you’re ready to build a sticker pack. Meanwhile, Xcode 8 and iOS 10 are still in beta. You cannot upload your sticker pack to the Messages App Store yet. But it is a good time to start building your own sticker packs. When iOS 10 is ready to release this fall, you’ll have the first mover advantage. 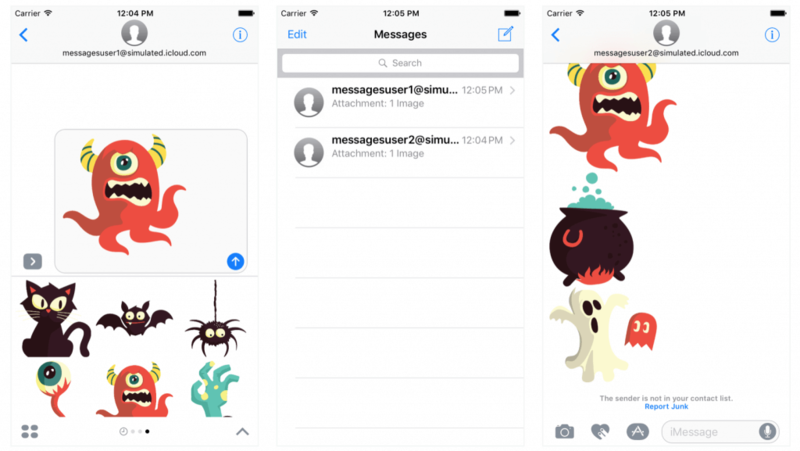 Sticker pack is just one type of the iMessage app extensions. In the next tutorial, we will see how to create a more complicated extension for Messages. Stay tuned. Want to learn more about new features and APIs of iOS 10? Get our Swift books now. You’ll receive a free book update when iOS 10 is officially released this fall. Very good tutorial. Once you have created your own images it takes only minutes to have a sticker pack up and running. Awesome tutorial, thank you so much! I can’t believe it’s honestly that easy. Explained in a very easy to follow steps manner….i have a question…..should provisioning profiles be created/attached for the app like global distribution etc for the sticker pack like regular apps or only these steps are enough? How do you add this as an extension to an existing app? I can make the sticker pack, but how do I go about uploading it to iTunes Connect bundled with my existing app? 1. Open your app in Xcode. 3. Add the stickers etc., just like in tutorial. What if I just want to make a sticker pack for personal use? How would I load it straight onto my iPhone, rather than submit it to Apple? Just build it to your phone from Xcode when testing. Thanks for the tutorial. Is there a way to group stickers on different pages within the sticker pack? Or do users just have to scroll vertically through all of the stickers? You can’t group the sticker pack using the above technique. If you want to create a custom interface for the stickers, you will need to create a message extension. PLEASE HELP how do you do in app purchase for sticker pack ? or iMessage app? how can i design stickers? How can we implement analytics for the stickers pack. Need to know the number of people who install our sticker pack and the sticker icon, thats mostly used. Since we don’t have a view controller, not able to implement analytics via code. Thanks great tutorial! Is there any updates on the more advanced iMessage app tutorial?